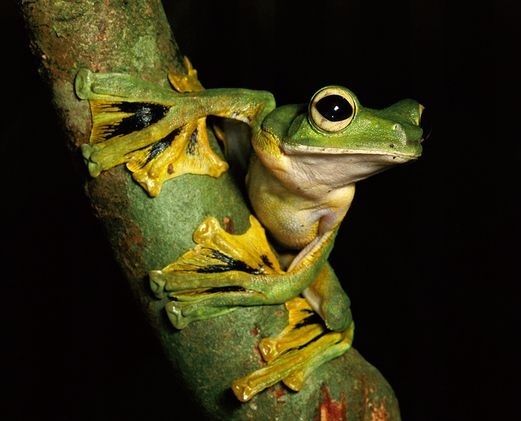 The Wallace’s Flying Frogs are known for their ability to glide through the air from one tree to another. They have a green dorsal region and a white ventral region and are spread across a large area covering several south Asian countries. The females of this species are larger than the males.